About Us | Strategic Resource Partners, Inc.
We specialize in staffing exceptional Professionals to industry leading companies in the US and abroad. Through our dedicated and ethical approach, we represent the finest employers and professionals in the marketplace today. We partner with a diversified group of industry vertical specialties including: Consulting, Entertainment, Financial, Healthcare, Bio-Tech, Consumer Products, Social Media, Over The Top (OTT) Streaming Media, Creative and Marketing, Cloud Solutions, E-commerce, Software and Technology to name just a few. Our reputation in the marketplace is grounded in long-standing client and candidate relationships. We enable companies and professionals alike to achieve the perfect match, in all market conditions. Strategic Resource Partners has the experience, contacts and tools to help you achieve infinite corporate and career success. Unparalleled honesty and integrity in all representations. Enduring client relations only come through mutual trust. We offer full candidate disclosure information throughout the process. 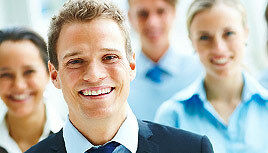 Direct placement, project based staff augmentation, and on-site recruiting services. We work on both contingency and retained engagements. We also provide "contract-to-hire" and payroll services. A staff of seasoned Technical Recruiters. This experience enables us to intimately understand and manage the technology challenges that varied corporate environments face. In the recruiting industry, strong experience working for you is invaluable.